This year innovative Italian automaker Maserati celebrates 100 years and Bulgari 130 years of luxury jewellery design. Building on the success of the bespoke watch released in 2012 with the launch of the Octo Quadri-Retro Chronograph bearing the colours of the Italian carmaker, the Manufacture Bulgari has chosen this year to drive its chronograph by means of a movement that lives up to its name. The pair are now proud to present the stylish Bulgari Octo Maserati model. 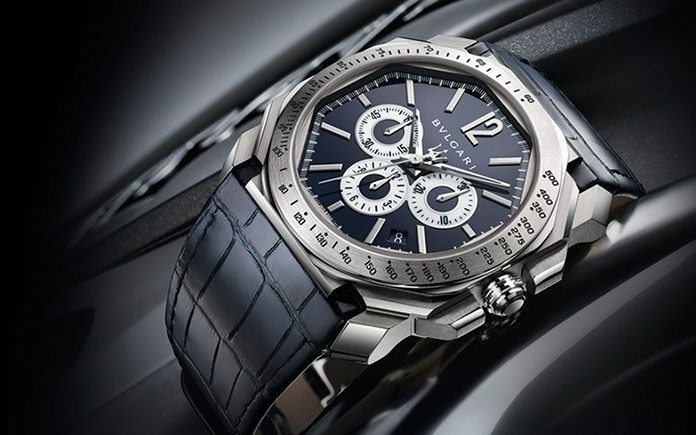 The Bulgari Octo Maserati watch is a true joy to behold. Connoisseurs will note the way that the blue and silver colour scheme echoes the hallmarks of Maserati design, while the alligator leather strap mirrors their elegant interiors. An exceptional, high-frequency mechanism lies within, powering the distinctive trio of chronometric displays on the champlevé dial. Innovative yet intuitive, this timepiece is as individual as the wearer, and as synonymous with masculine chic as Maserati itself. 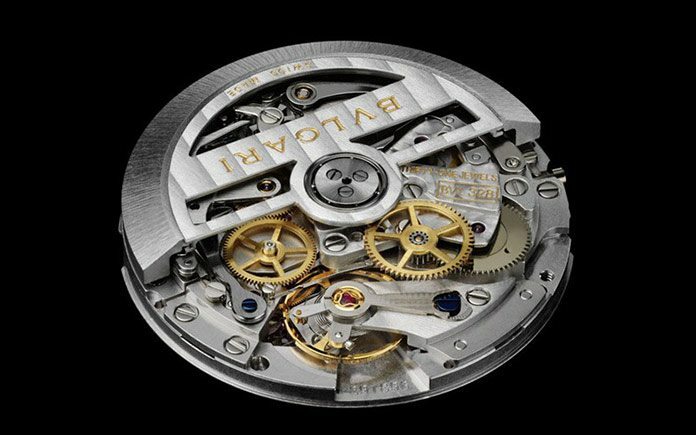 Nicknamed Velocissimo, meaning “the fastest”, the self-winding chronograph movement chosen by the Swiss master-watchmakers to power this limited series is fitted with 45 jewels and distinguished by its extremely high frequency, at 36,000 vibrations per hour. While each Bulgari Octo Maserati is exactly as its creators intended, as unique as each car. 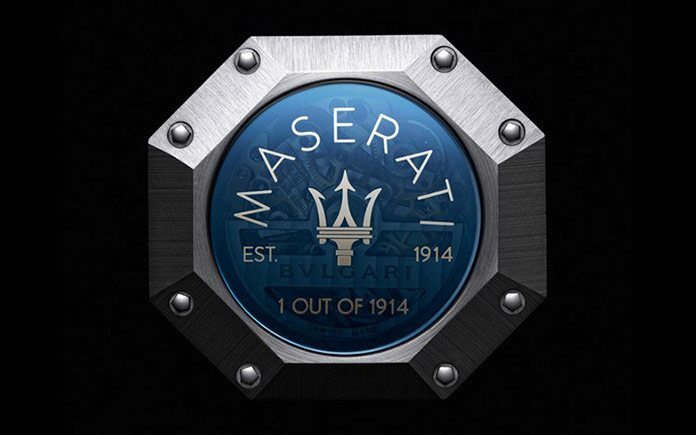 There will indeed be only 1,914 Octo Maserati chronographs, in tribute to the founding year of Maserati. The Octo Maserati expresses the quintessence of a vision of elegance fully shared by the two Italian Houses keen to provide an imaginative and perfect response to a desire for high standards and elegance.